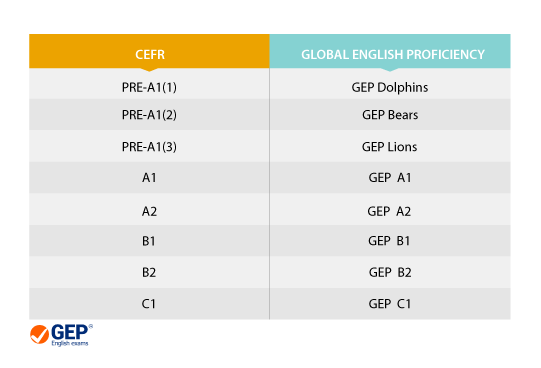 Since inception, the GEP English Exams have enjoyed a one to one correlation to the CEFR, they are not simple adaptations. All GEP English Exams are designed to test 3 core language skills: language use, reading, and listening. The GEP English Exams are conducted online via the iTestEnglish.com platform and scoring is entirely automated, requiring no marking by the school administrators or teachers. Since measuring Speaking and Writing does require manual intervention, schools and institutions are encouraged to conduct on-site tests to complement the testing provided by the GEP English Exams.